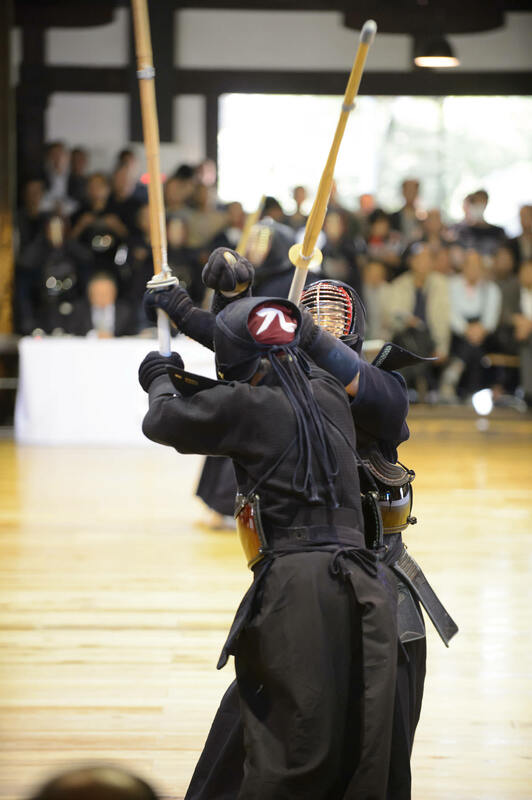 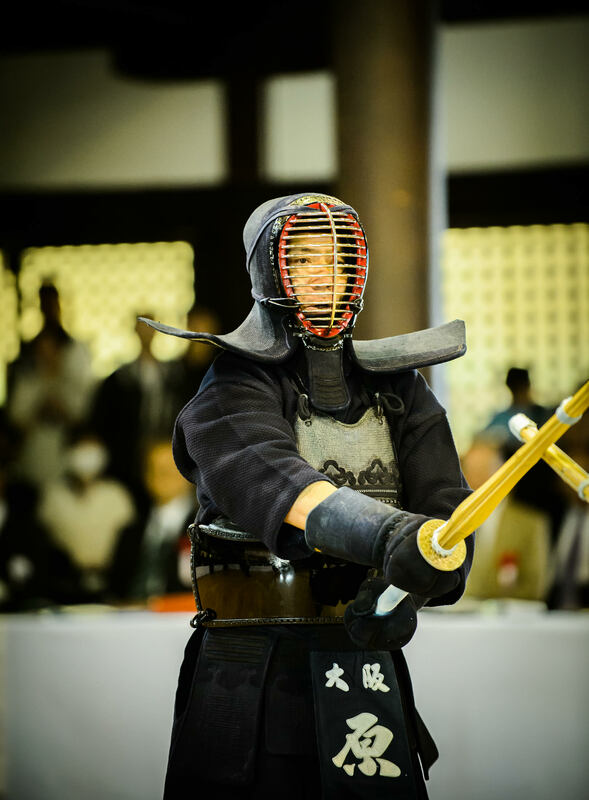 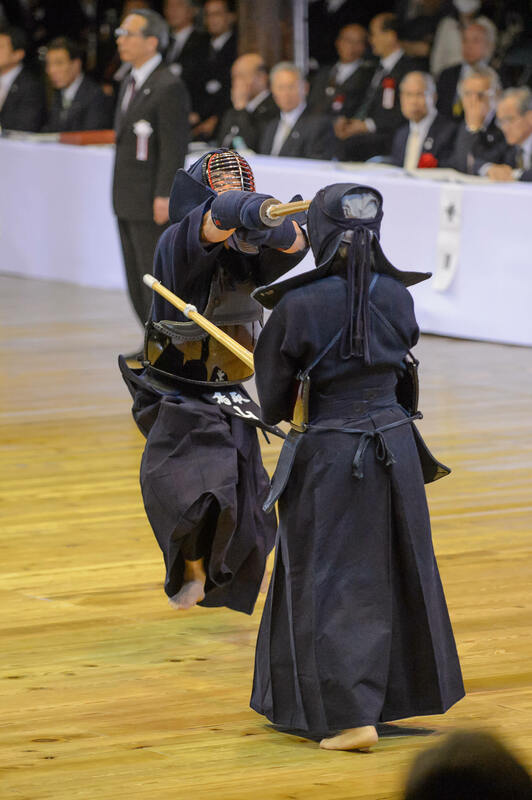 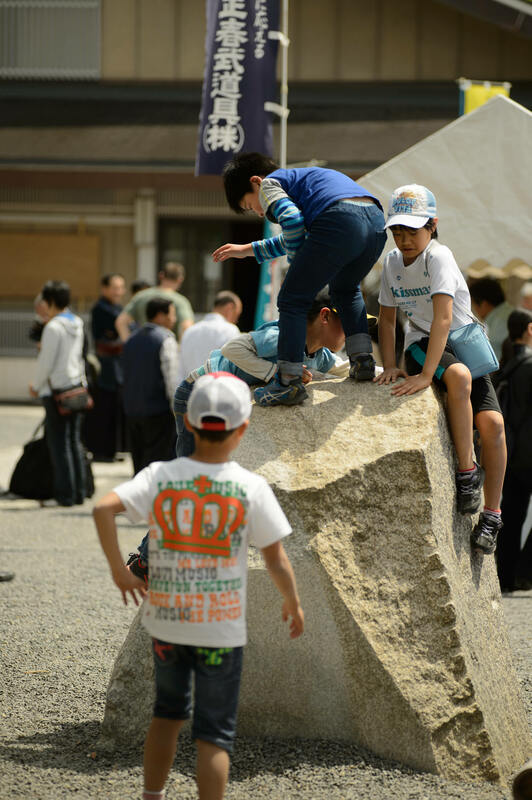 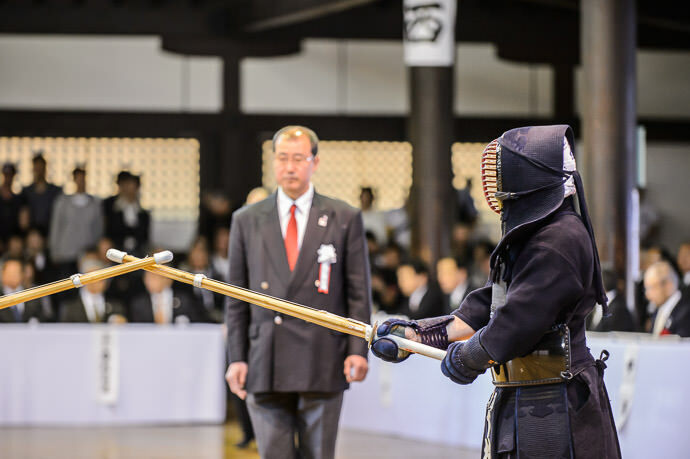 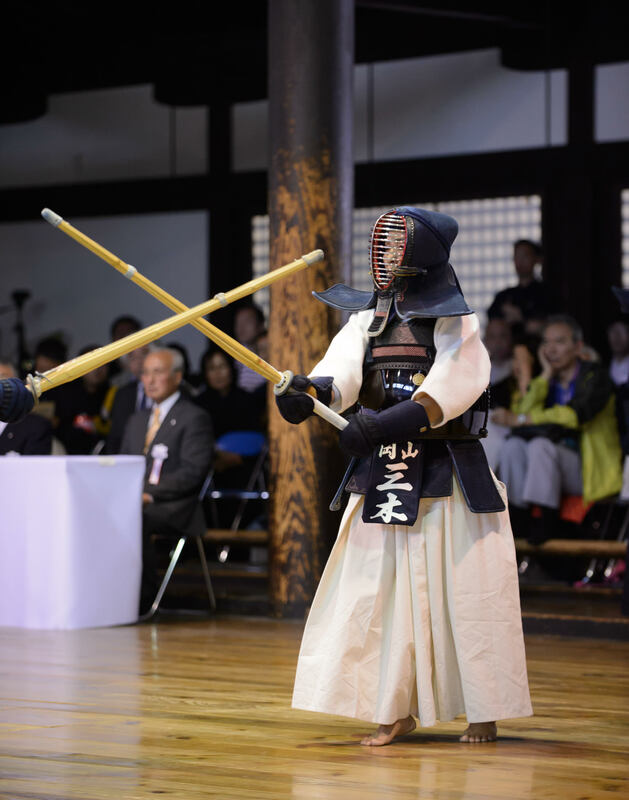 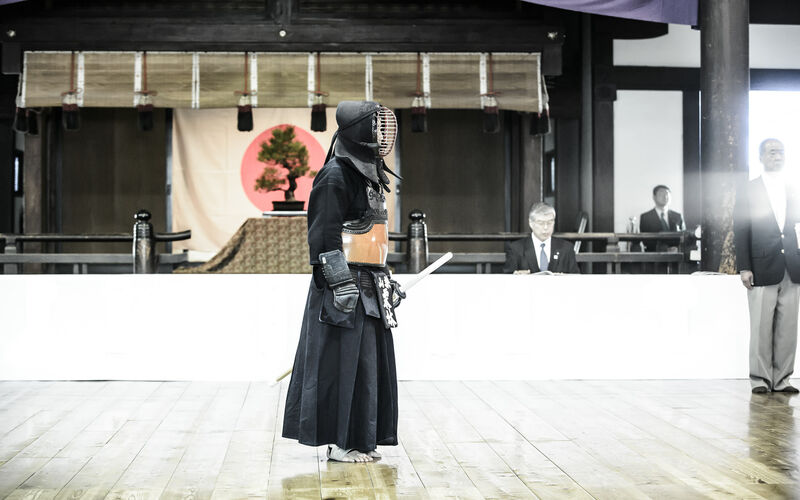 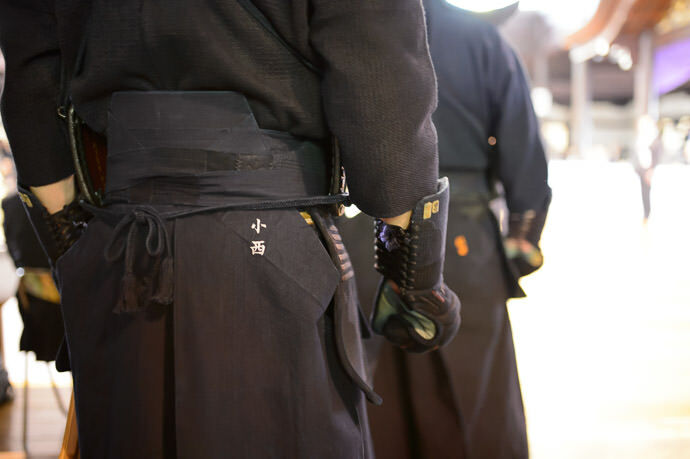 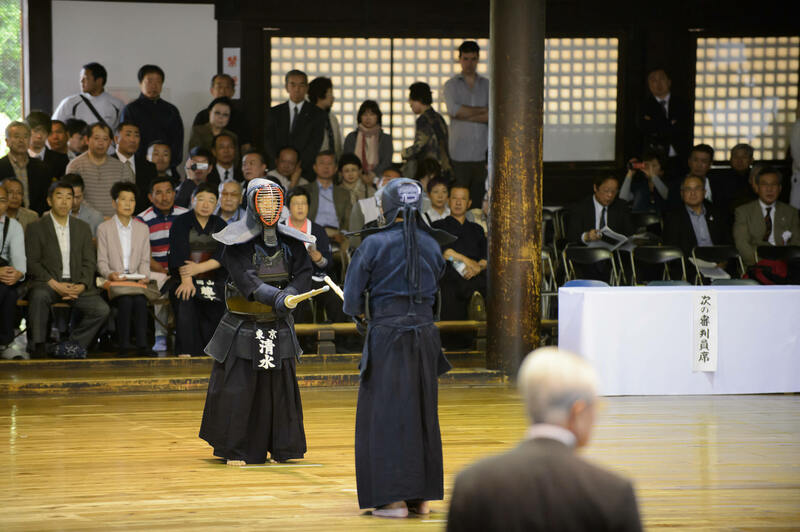 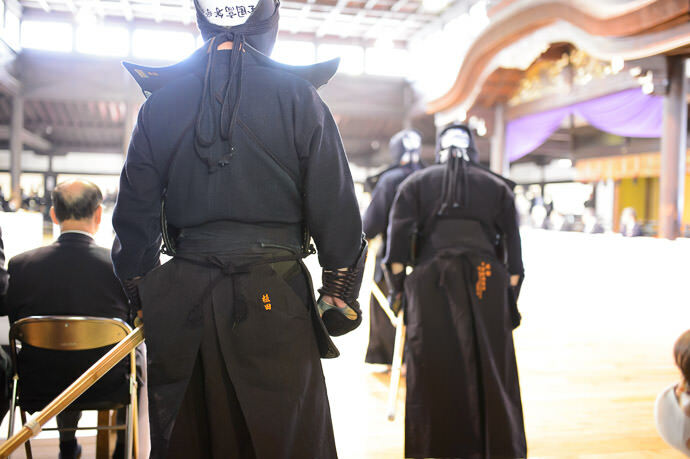 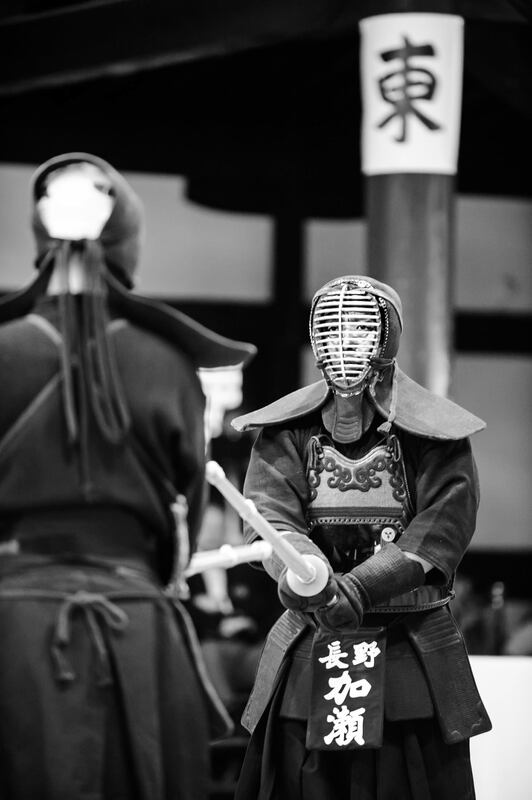 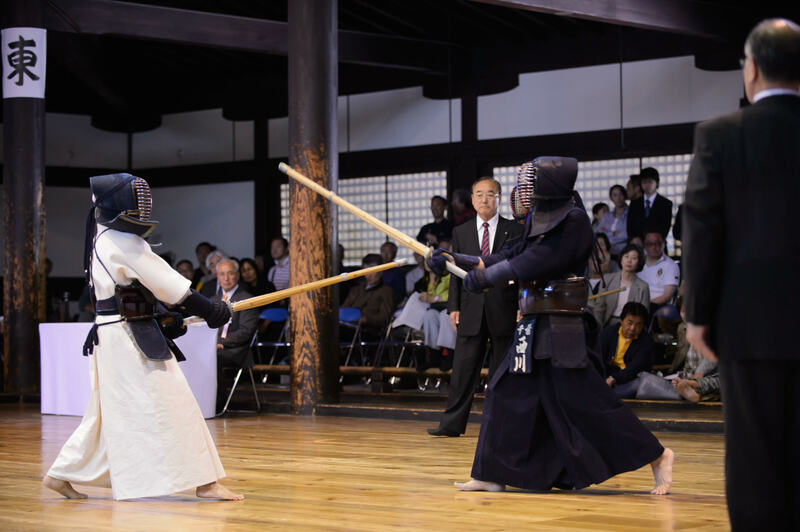 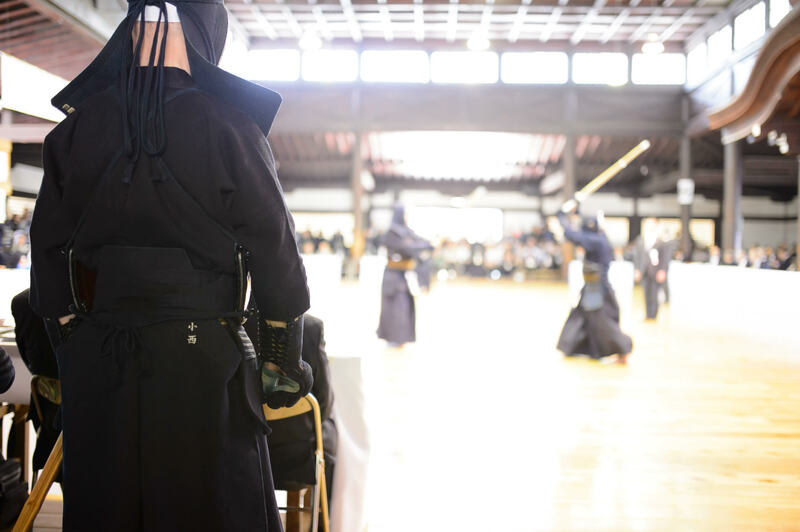 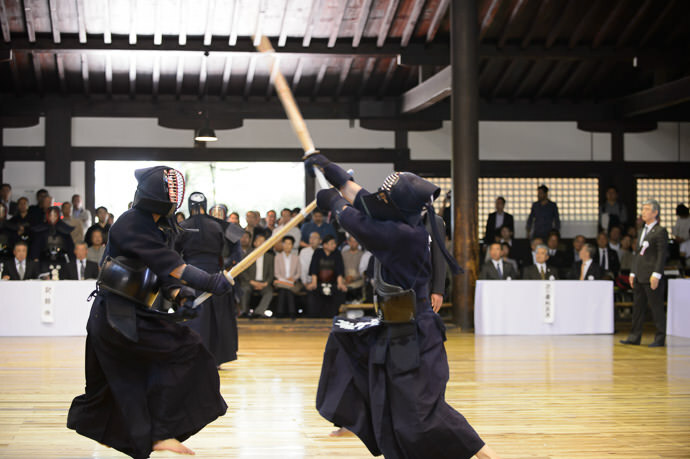 This post continues from yesterday's “My First Look at Kendo: Masters Tournament in Kyoto” post, which introduced the kendo (“Japanese fencing”) event I attended the other day. 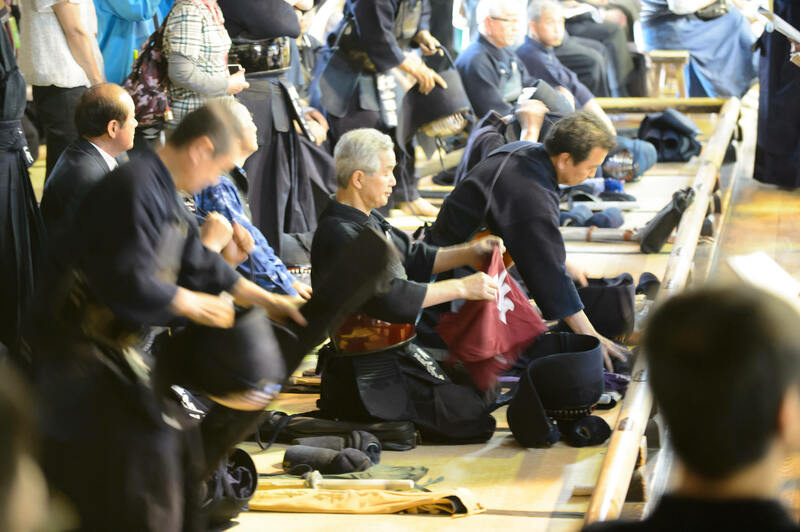 These people (mostly men, but there were a few women) were 7th-dan masters (the max is 8), meaning that they've been doing this for at least 23 years. 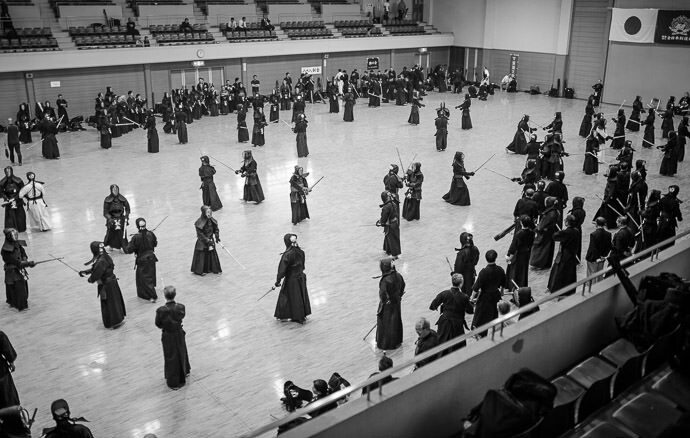 I wonder whether they get nervous before a bout. 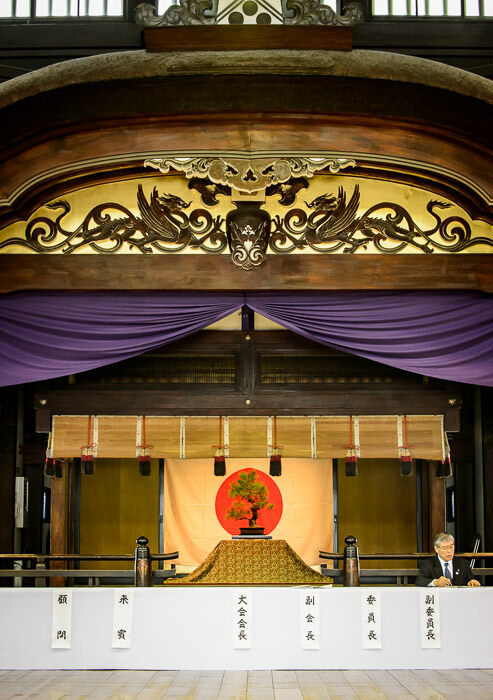 With patience I eventually worked myself into a position that I thought would give great shots, right at the center line where the bonsai tree was directly in the line of sight inside the Japanese flag. 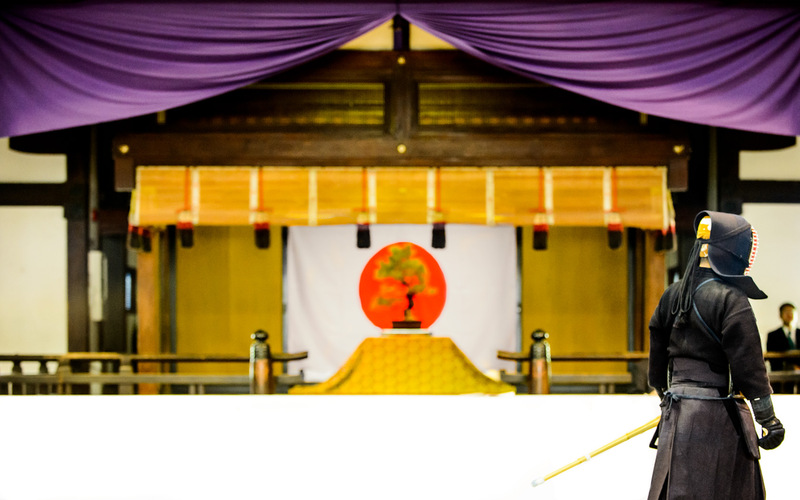 But the lighting was ridiculous making the white background of the flag look pink. 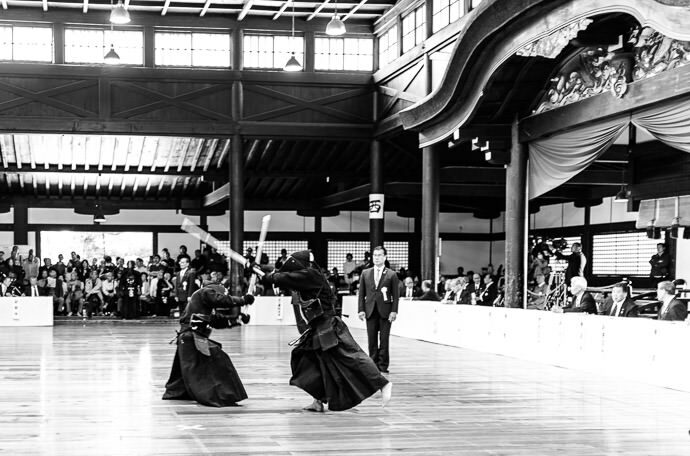 I “fixed” it in some shots with some heavy-handed post processing, just as I “fixed” the visual clutter of the name signs in the background on some of the shots. 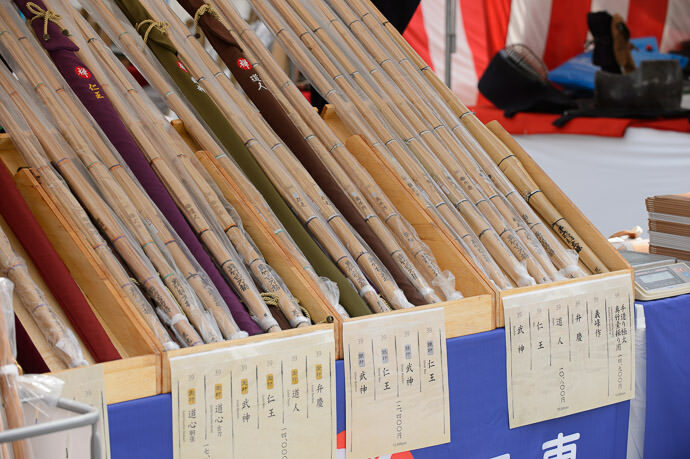 Artistic License. This shot is a great little vignette into Japanese culture. 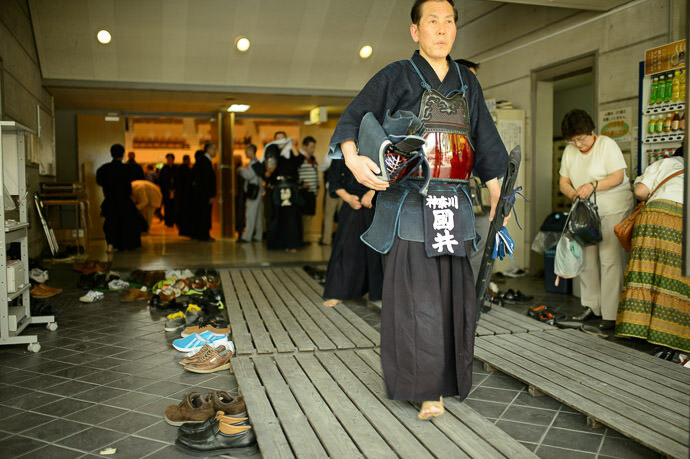 Shoes fill the entryway because street shoes are not worn inside a gym (gym-only shoes might be brought in for sports that require them), but they've set up a raised walkway between the two buildings to allow participants to move between them without shoes. 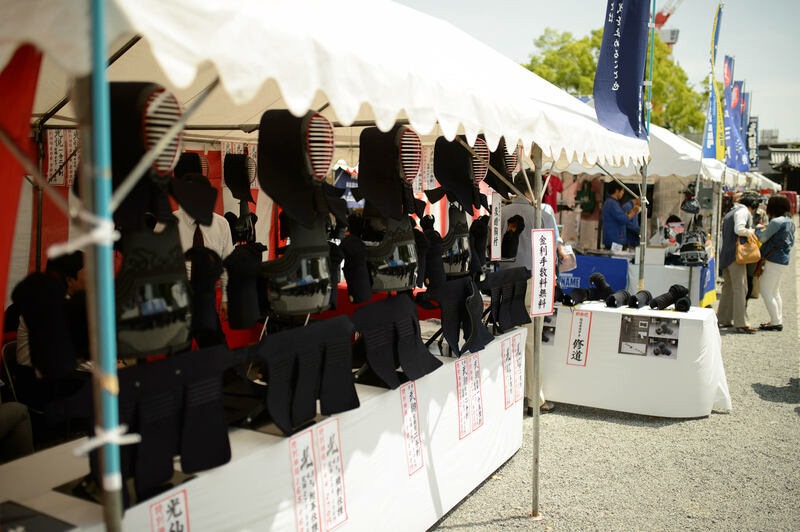 Back outside at the sales stalls, we have some protective gear on display.` As I mentioned yesterday, this vendor's prices range from $700 a set to $10,000 a set. 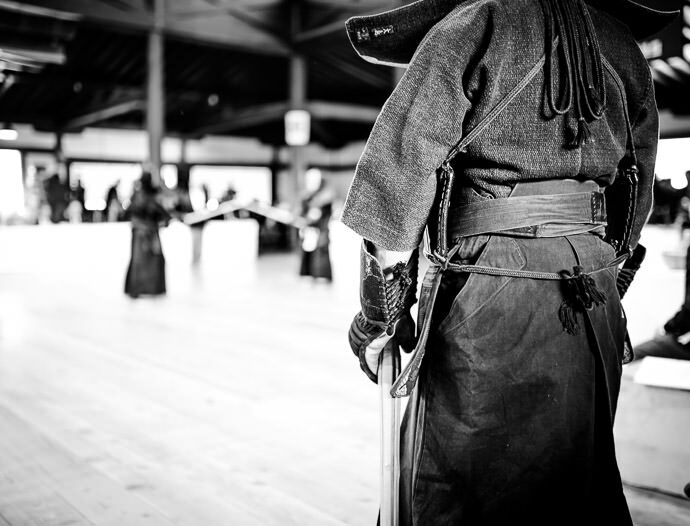 Very interesting images! 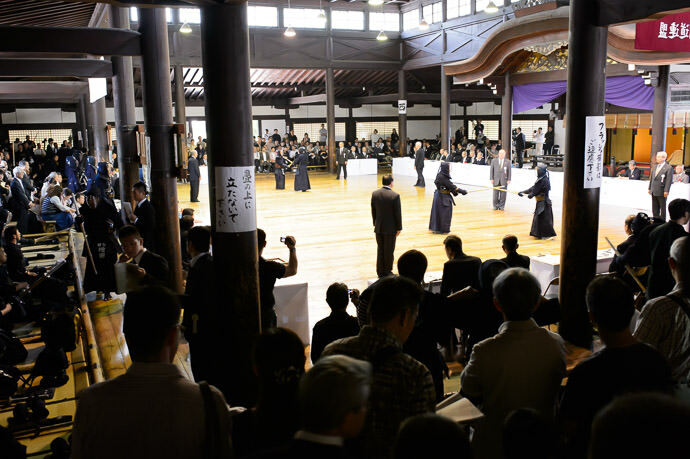 Were there many other photographers at the competition? I would pay money for a tastefully done, subtlety done… Photoshop of these kendo masters in action above… but with light sabers photoshopped in where their kendo swords are now. 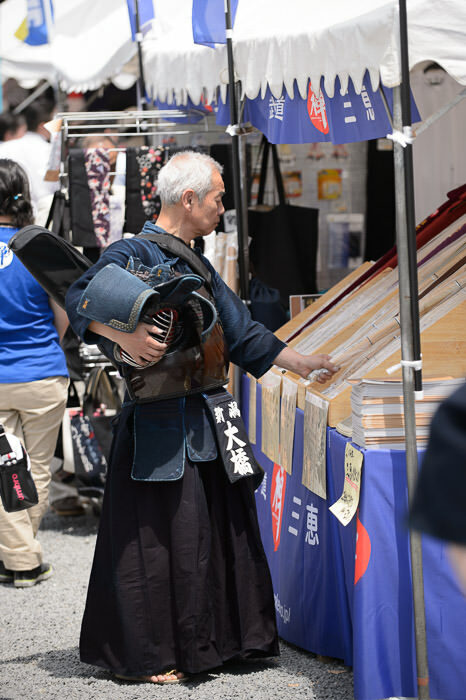 The keywords being tasteful and subtle. 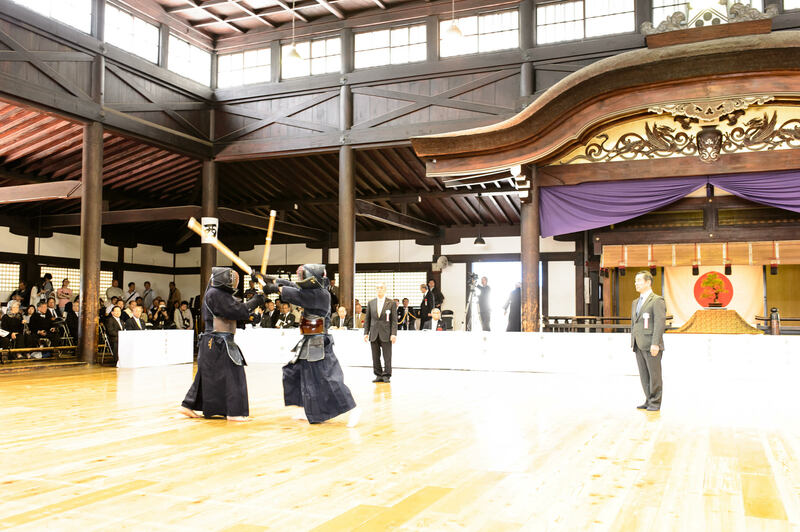 http://regex.info/i/JF4_053503.jpg and ‘NICE VENUE” are almost begging for it. Having said that the action shots are beautiful all by themselves.